Osmaniye’ye Hoşgeldiniz, or Welcome to Osmaniye! Since this is where I am based, you will probably get to know my new community quite well over the next months. To start out with, let’s make sure you are pronouncing it correctly. Ohss-mah-nee-yay is how it comes out, with emphasis on the “ah.” Osmaniye is the capital of Osmaniye Province, which was newly formed in 1996, making it the eightieth of eighty-one provinces in Turkey. The area had previously been a part of Adana Province. 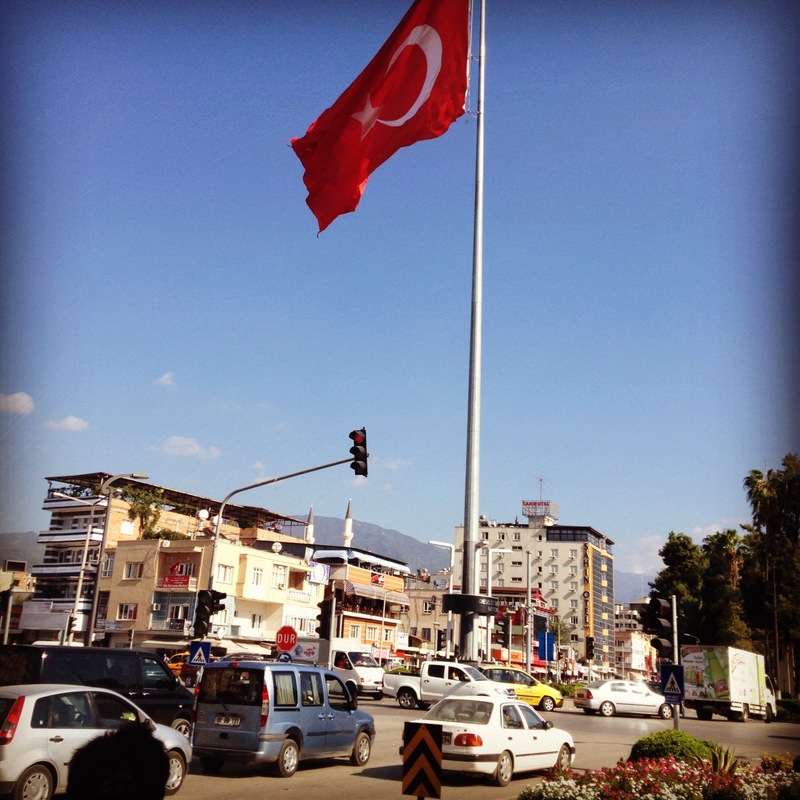 Adana, the fifth largest city in all of Turkey, is one hour away. Adana, Osmaniye, Mersin, and Hatay Provinces lie within the Çukurova (historically known as Cilicia, hence the title of Eric’s blog) geographical, cultural, and economic region, which is one of the most agriculturally productive regions in the world. Osmaniye is surrounded by cities known for their fantastic cuisine, and in turn one can eat very well here. The city lies directly on the path of the Silk Road, the historic network of trade routes, and is just about 15 kilometers from the Mediterranean. 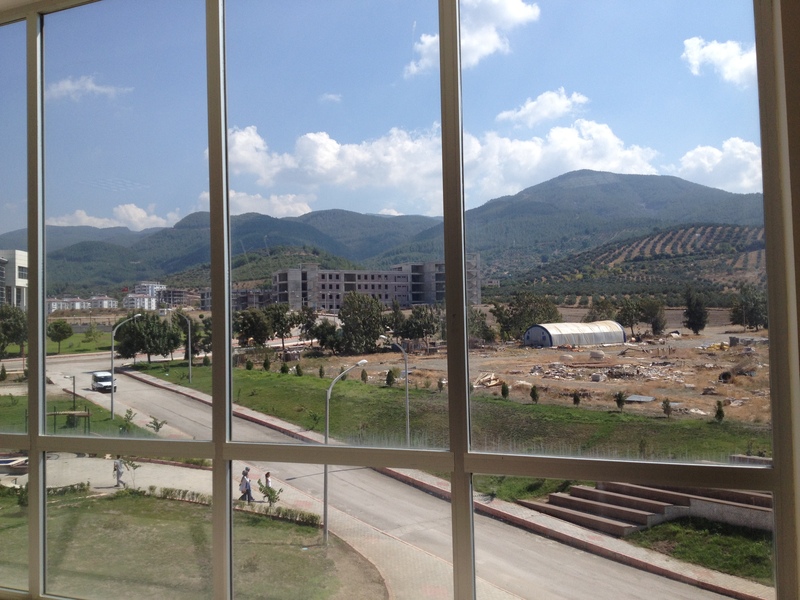 The elevation is 410 feet but it is situated in the foothills of the Nur Mountains. 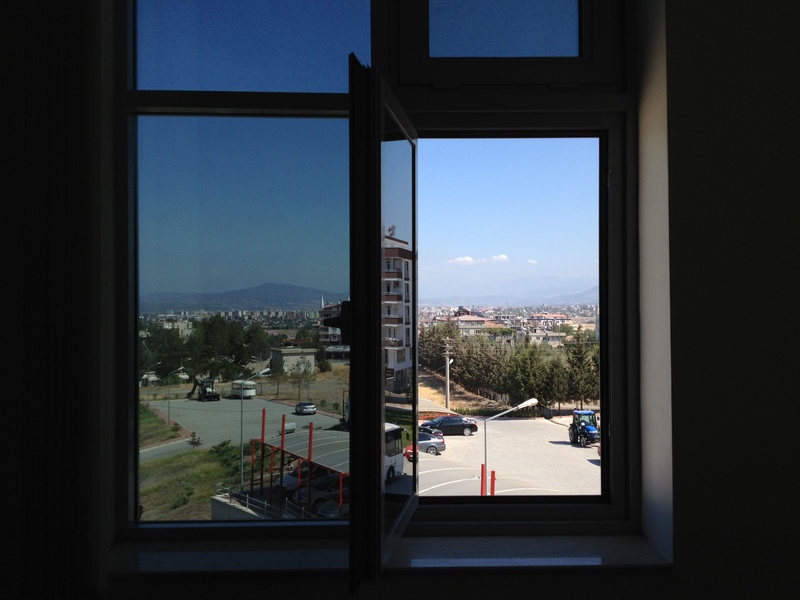 Osmaniye has 200,000 people as well as a new university that is growing all the time. The start of this semester saw an increase of over 1,000 students, so there are now approximately 6,500 students on campus. Current building projects under way include a new soccer field/stadium, new facilities for engineering, streets, sidewalks, basic infrastructure, additional housing, and a number of other structures. We are anticipating witnessing a lot of change in the coming year, and we plan to document it as best we can. Appreciating all the info –VERY interesting. !! The city looks beautiful, as does the university. This sounds like the opportunity of a lifetime! This is my first chance to check out your wonderful blog–with its beautiful pictures and vivid writing. It sounds like you’re doing a great job with the students–and I’m willing to bet at least half of them have a crush on you! Your apartment is doing fine,your snapdragons out front are still alive, and I love being able to walk to campus. There could be no better ambassador from Oklahoma than you! Just don’t work yourself to death! how new and beautiful Osmanyi province is. Your living facilities are quite lovely and what an attractive classroom!